The fund’s objective is to seek long-term capital appreciation. It aims to deliver excess returns within the small capitalization, value segment of the market by systematically exploiting academically proven and empirically tested equity premia while keeping broad diversification within and across industries. The Small Cap Value Fund employs a quantitatively driven, factor-based investment strategy. Particularly, the Advisor selects, from the U.S. publicly traded stock universe, securities that Acclivity Investment Research considers to be small capitalization value stocks. 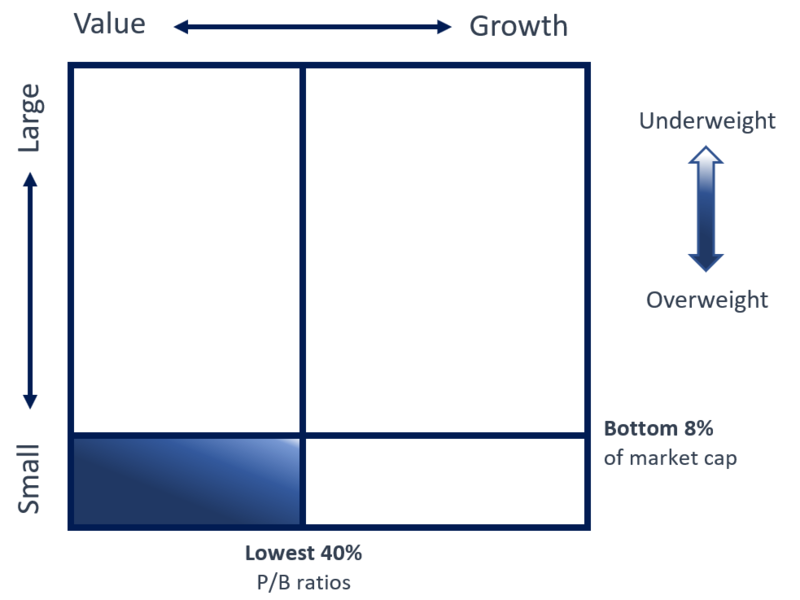 The two requirements for companies to be considered as small capitalization value stocks are: (i) be in the lowest 10% of U.S. aggregate market capitalization; and (ii) exhibit a low market value relative to its book value. Within the defined universe, the strategy aims to systematically exploit select academically proven and empirically tested sources of higher expected returns in the market. The factor premia targeted by the strategy include: market, size, value, profitability, investment, and momentum. Pursuant to an operating expense limitation agreement between Innealta Capital, LLC (the “Adviser”) and the Small Cap Value Fund, the Adviser has agreed to waive its fees and/or absorb expenses of the Small Cap Value Fund to ensure that Total Annual Fund Operating Expenses (excluding any brokerage fees and commissions, acquired fund fees and expenses, borrowing costs (such as interest and dividend expense on securities sold short), taxes and extraordinary expenses such as litigation) for the Small Cap Value Fund do not exceed 0.92% or 0.67% of the Small Cap Value Fund’s average net assets, for Class N or Class I shares, respectively, through April 30, 2020. This operating expense limitation agreement can be terminated only by, or with the consent of, the Board of Trustees. The Adviser is permitted to receive reimbursement from the Funds for fees it waived and Fund expenses it paid, subject to the limitation that: (1) the reimbursement for fees and expenses will be made only if payable within three years from the date the fees and expenses were initially waived or reimbursed; and (2) the reimbursement may not be made if it would cause the expense limitation in effect at the time of the waiver or currently in effect, whichever is lower, to be exceeded. *Innealta Capital maintains distribution agreements with selected platforms where minimums may be waived for some clients in certain share classes. Please contact us for more details. NOTE: The above graphic shows the aggregate sector holdings of the Acclivity Small Cap Value Fund at 03/31/2019. Past performance is no guarantee of future results. Current performance may be lower or higher than the data cited above. Investment return and principal value will fluctuate so that shares, when redeemed, may be worth more or less than their original cost. For performance information current to the most recent month end, please call 855.994.2326. (1) The Fund’s investment advisor has contractually agreed to reduce fees and/or absorb expenses until at least April 30, 2020. (2) Holdings and allocation data as of month day, year. Fund holdings are subject to change and should not be considered investment advice. Innealta Capital, LLC is an Investment Adviser, registered with the Securities & Exchange Commission. For more information, please visit our website: innealtacapital.com. Price-to-Book compares a company’s market value to its book value. The market value of a company is its share price multiplied by the number of outstanding shares. The book value is the net assets of a company, In other words, if a company liquidated all of its assets and paid off all its debt, the value remaining would be the company’s book value. Weighted Average Market Cap refers to a stock market index in which larger companies (i.e. with higher market capitalization) have more influence on the index’s performance. Percentage in Top 10 Holdings This figure is meant to be a measure of portfolio risk. Specifically, the higher the percentage, the more concentrated the fund is in a few companies or issues, and the more the fund is susceptible to the market fluctuations in these few holdings. The Percent Assets in Top 10 Holdings figure provides insight into the degree to which a portfolio is diversified. Used in combination with the total number of holdings, it can indicate how concentrated a fund is. Number of Holdings is the total number of holdings within the portfolio. The Small Cap Value Fund invests in the stocks of small capitalization companies. The earnings and prospects of these companies are more volatile than larger companies. Small sized companies may experience higher failure rates than do larger companies. Other possible risks to the Fund include those related to general risk, Equity Securities Risk, Equity Securities Risk, Small-Sized Company Risk, Value Investing Risk, Limited Operating History Risk, Management Risk, Derivatives Risk, Futures Risk, and Securities Lending Risk. Please review the prospectus carefully for additional details. Investors should carefully consider the investment objectives, risks, charges and expenses of the Innealta Funds. This and other important information about the Funds is contained in the prospectus, which can be obtained by calling 855.994.2326. The prospectus should be read carefully before investing. The Innealta Funds are distributed by Northern Lights Distributors, LLC a FINRA/SIPC member. Innealta Capital, LLC is not affiliated with Northern Lights Distributors, LLC. Shares of the Innealta Capital Funds are currently offered only in the United States to U.S. investors and are not available for sale in any jurisdiction other than the United States. The information on this Web site should not be considered a solicitation to buy or an offer to sell shares of the Innealta Capital Funds in any jurisdiction where it would be unlawful under the securities law of that jurisdiction.